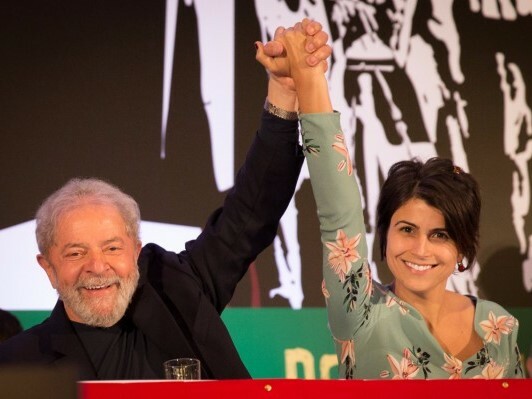 On August 6, the National Executive Commission of the Communist Party of Brazil (PCdoB) issued a statement on their electoral strategy dedicated to the victory of progressive forces in the upcoming presidential elections. In respect to the perspective for a broad front promoting the unity of the left, the PCdoB had contributed to a number of meetings with parties like PT, PDT, PSB and PSOL. On July 22, the PCdoB and its candidate for Presidency, Manuela D'Ávila, had made an appeal for conceiving a progressive electoral trend among left-wing forces in order to defeat the conservative and coup forces. Despite the impossibility of a broader unity among leftist parties, the PCdoB and Workers' Party (PT) persisted in the search for an alliance and intensified the negotiations between them. The statement writes that both parties have built a political and social field that resulted in the important cycle of the Lula and Dilma governments; moreover, have struggled for the freedom of the former President Lula da Silva and for his right for presidential candidacy as well. According to the statement, "the coalition between PCdoB and PT has emerged as the possible and important alliance to build the victory of progressive forces in view of the strong orchestration of the conservative and coup forces." On August 5, the PT leadership delivered Lula's invitation to D'Ávila offering her the position of vice-president on his electoral plate. The National Political Commission of the PCdoB has approved the coalition with the PT-PROS-PCO alliance. Eventually, Manuela D'Ávila will be the deputy of the Lula plate. The statement of the PCdoB asserts that Lula's invitation proved the success of D'Ávila's electoral campaign and continues, "Her courageous and haughty voice defending the unity of progressive forces and of a sovereign and democratic national development project, of vast achievements for the people and the working class, the rights of women, youth, blacks and the LGBT population, had won support and materialized enthusiasm." "The PCdoB calls on its militant collective, all of its supporters, the popular, democratic, patriotic forces to converge and fight to make possible the fifth popular victory in the next presidential elections, the only way to get the country out of the crisis, and to unleash the journey for a new national development project." See the link for full text in Portuguese.